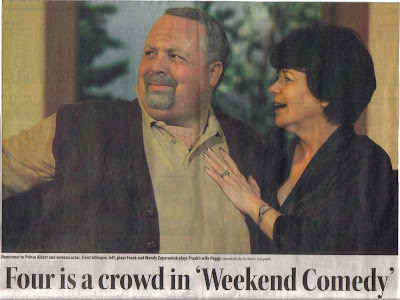 The Gillespie Family: Weekend Comedy - OPENS TONIGHT!!! YAY!!! Weekend Comedy - OPENS TONIGHT!!! YAY!!! An aged me and Wendy, who plays my wife, in the show. What an interesting expression I have. If you click on it, it will zoom in for you to read.